Anirudh turns a year older today. He has the money, fame and success rate of a seasoned pro, already. 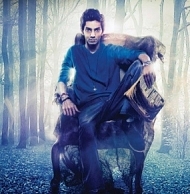 With a dream launch like Kolaveri, every music lover wanted to know, what Anirudh could do post that. Till date, taking Kaththi also as the recent sample space, Anirudh has been delivering back to back chartbusters. Every song of his is hummed and rules the radio playouts. Not just a composer, Anirudh is also a sensational stage performer and a youth icon. Starting as a keyboardist for the Chennai based fusion band Zinx, Anirudh still gets back to his independent music scene and does songs like Chanceyilla. Anirudh is bound to keep giving us foot-tapping numbers and fill his drawing room with awards. But now, he has a huge task waiting. Kaththi is just days away from a worldwide release. Songs already being a rage, his efficient background score will give the much needed edge to the mass actor Vijay's film. Having signed a list of films, Anirudh will want everything to go perfectly alright. Anyway it's time for celebrations now. A very happy birthday to Anirudh and wishes in advance for the Kaththi success. This time, he'll cut the cake with the KATHTHI ! Anirudh - Gautham Karthik Together. Anirudh Goes Live For Kaththi ! Anirudh Is Excited About Kaththi Music ! People looking for online information on Anirudh, Anirudh birthday, Anirudh Ravichander birthday, Ilayathalapathy Vijay, Kaththi will find this news story useful.